a new business to success . TASHICO always endeavors to work so closely with customers that we plan/offer products tailored explicitly for various users. We predict potentiality of new markets and the future needs to create and offer new products. "TASHICO's planning and proposals are the very things that user need and coose most." ? TASHICO's concept regarding planning is to earn a reputation like this, which has roots in our earliest company's mission. A product lacking in the edge (value-added) will necessarily give way to any other competitive one. That is a truth proven by histoy. TASHICO is taking the design concept of 'Flexible thinking not bound by stereotypes and practices = Creation of value-added'. We will never ever jump to conclusion that "it is impossible" and always try to come up with a design that makes it possible. Production departments are critical, not merely "operations for making something". External factors (such as procurement of materials and outgoing shipments) and internal factors (such as inventory control, manufacturing and in-house setups) closely link and interact . TASHICO acts as go-between in connecting our subcontracting production partners, supported by technical expertise, with user from the first stage of planning/design. 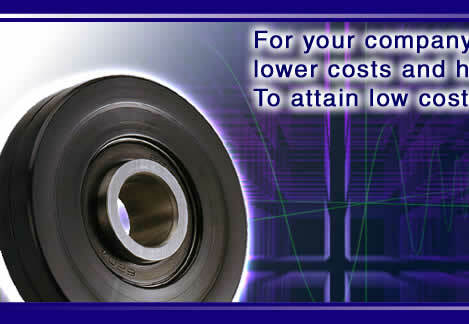 We pursue implementation of logically, highly efficient manufacturing processes. To abandon stereotypes and challenge creation of something new. This is a source of our past track records. We believe Flexible changes of thinking enables creation and expansion of market shares. 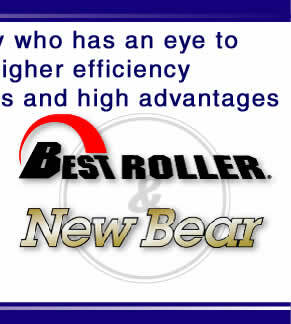 "BEST ROLLER"and "NEW BEAR" are the proof.